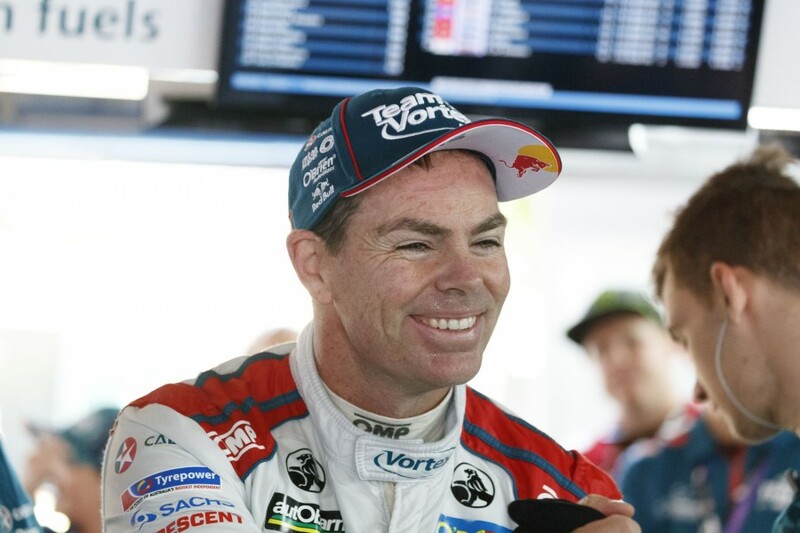 Craig Lowndes says an improved Gold Coast showing gives him a lot of confidence after a torrid Supercheap Auto Bathurst 1000 earlier this month. Lowndes and Steven Richards endured a tough first two stops in the PIRTEK Enduro Cup, finishing 11th at Sandown and Bathurst. While the opener was based on starting 24th and then losing further track position with a pitstop just before a Safety Car restart, the TeamVortex Commodore struggled throughout the week at Bathurst. Again starting down the order, in 19th, it was never a factor, spending only six laps inside the top 10 all day and finishing a lap down. The experienced duo were stronger in the Vodafone Gold Coast 600, finishing seventh from 11th in the wet on Saturday. Lowndes made just his second Top 10 Shootout of the year on Sunday, gaining five places in it to complete a Triple Eight sweep of the top three, and then finished fourth. 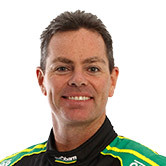 "It was a really positive weekend for us, [Sunday] really topped it off to finish fourth,” Lowndes said. “We started third but lost a spot during the race, but it really gives us a lot of confidence. "We had a strong car most of the weekend through Friday practice and in the wet, it was impressive to bounce back after Bathurst. “It was a really pleasing weekend to finish in the top five again and now be sixth in the championship. 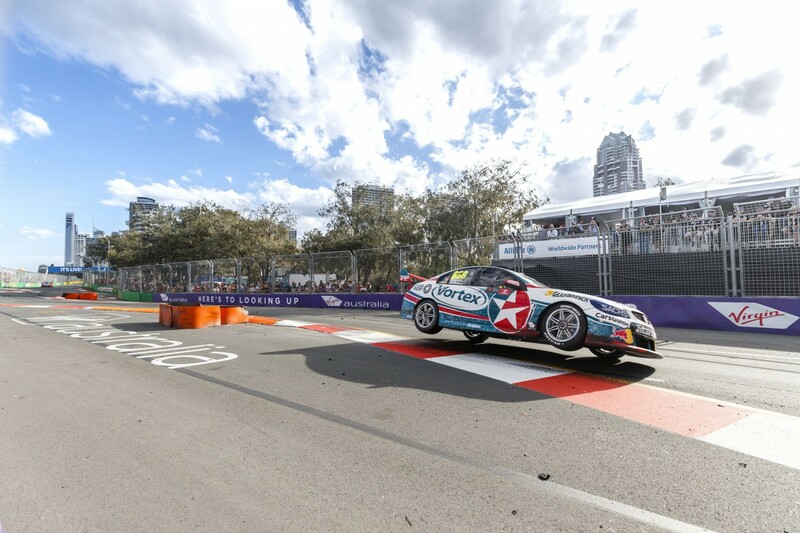 Lowndes faded during the final stint, acknowledging that Red Bull stablemates Jamie Whincup and Shane van Gisbergen had better rear-tyre life. While he still has just a single podium this year, Lowndes reclaims sixth in the standings from Bathurst winner David Reynolds. Triple Eight parked an investigation of a suspected mechanical problem with Lowndes’ Commodore at Bathurst, given the tight turnaround before the Gold Coast. Lowndes also struggled with a mid-weekend change of brake-pad manufacturer, and team manager Mark Dutton says the car was unfortunate to go a lap down at Bathurst. “They’ve just been building and building and building and sometimes things don’t go your way, unfortunately,” he told Supercars.com. “At Bathurst, they were still in an OK position but the mix-up with the Safety Car and [Fabian] Coulthard passing that meant they went a lap down. “You can’t predict that when you’re doing strategy, that the car’s going to pass the Safety Car, it should be picked up, being the race leader. “That made it look like a worse Bathurst than it was. They’ve been building and building, this weekend they’ve been fast all weekend. 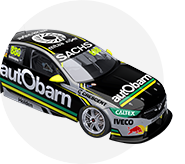 It was announced last week that Autobarn will replace Caltex as the sponsor of the #888 Commodore in 2018, under the new Autobarn Lowndes Racing banner.